Please call for all orders, price quotes, personal service and any custom requests. Robbie Smith 760-443-5656 please scroll all the way down to see all products available! 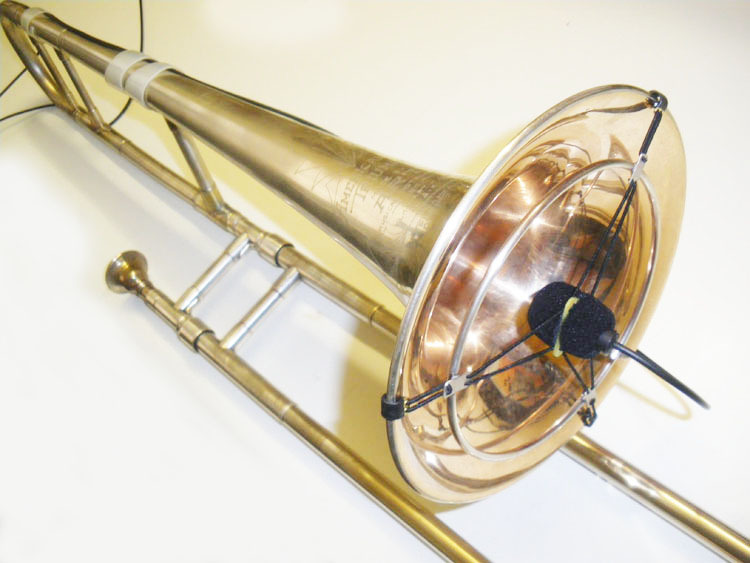 ONE (1) complete WIRED SOUNDCATCHERS.NET PERSONAL SELF POWERED MONITOR SYSTEM system for one horn. 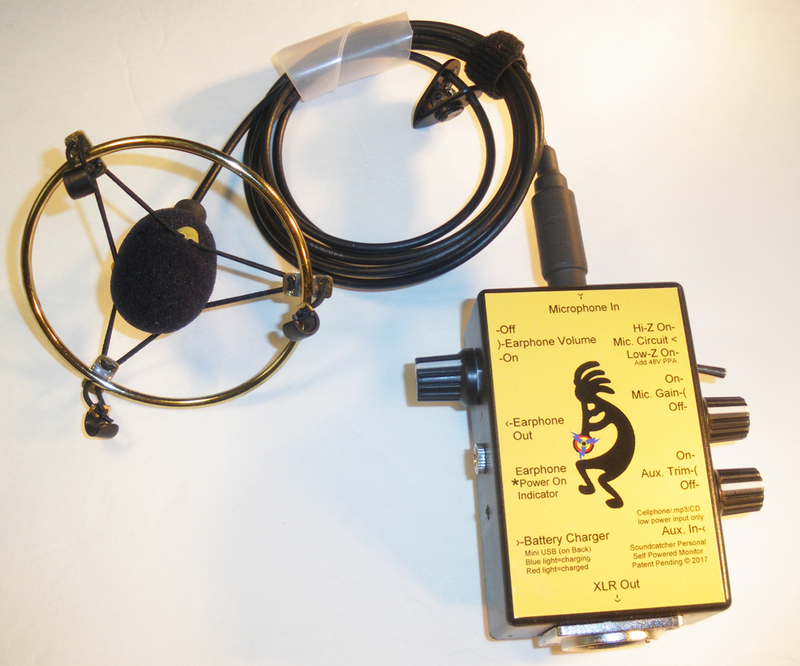 2 Channels One set currently available. 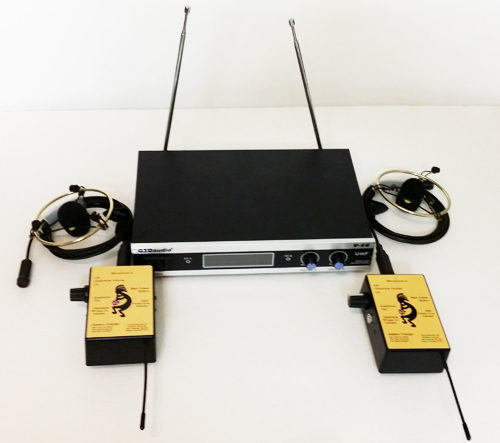 $800.00 "GTDaudio V-28 receiver and transmitter components". 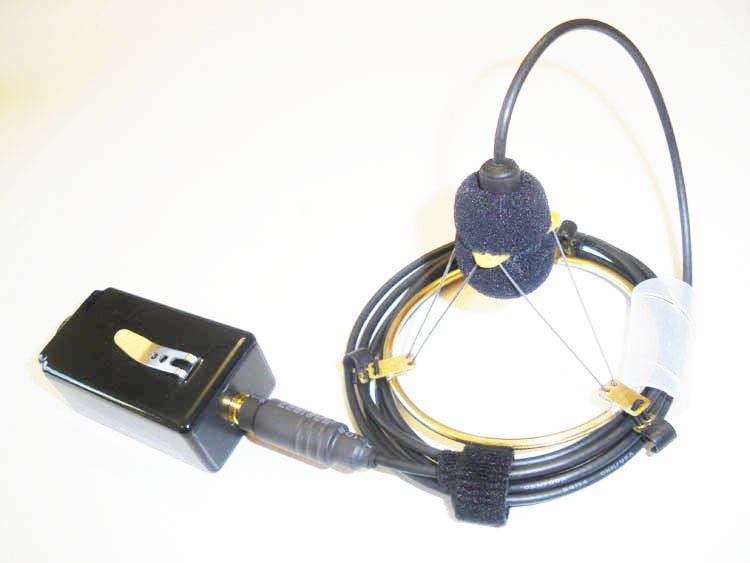 Complete and ready to use with TWO (2) SOUNDCATCHERS.NET Personal Self Powered Monitors Anti-Shock Horn set ups and battery chargers. 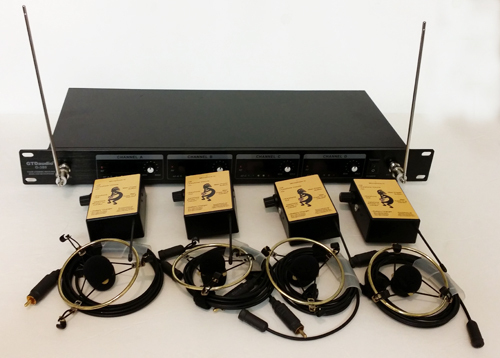 4 Channels Two sets currently available. 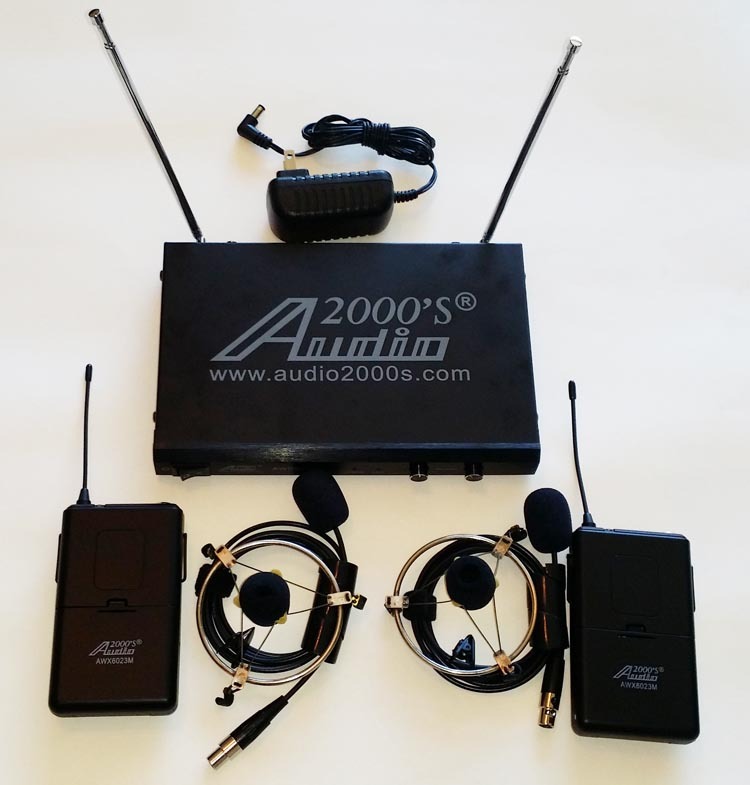 $1600.00 "GTDaudio G-380 receiver and transmitter components". 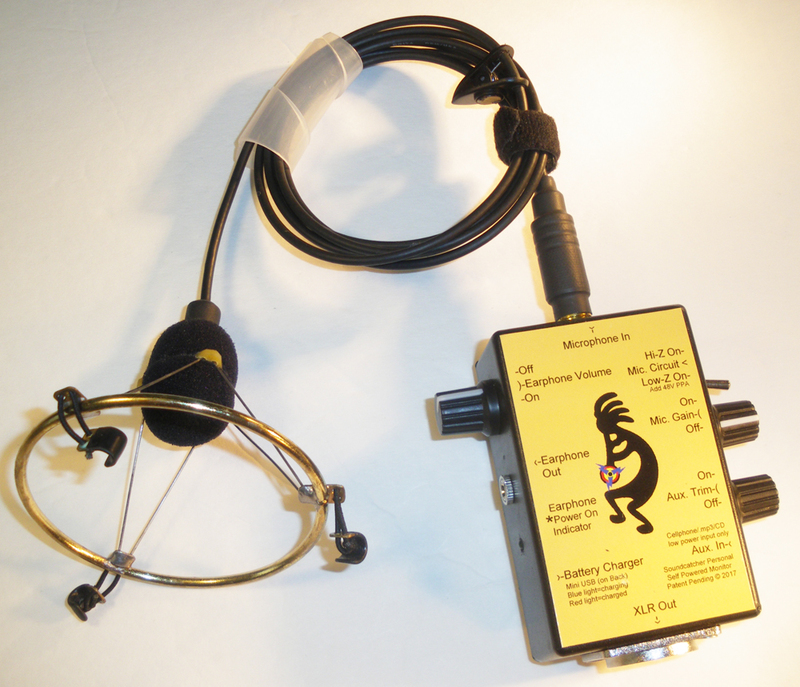 Complete and ready to use with FOUR (4) SOUNDCATCHERS.NET Personal Self Powered Monitors Anti-Shock Horn set ups and battery chargers. 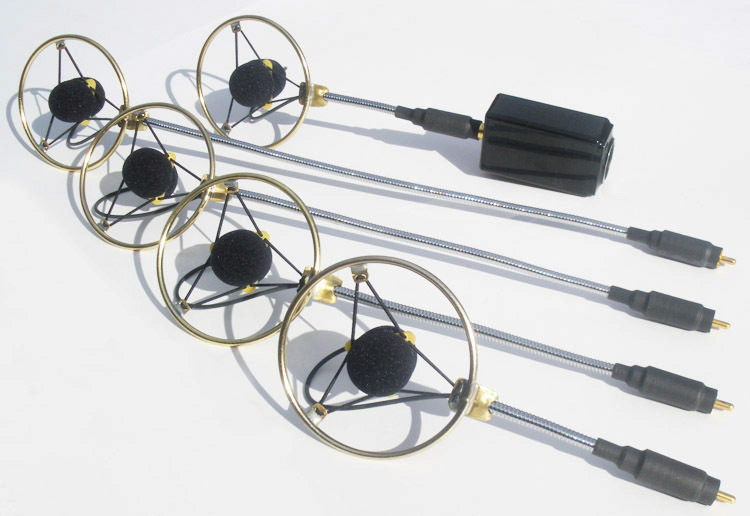 WIRELESS SOUNDCATCHERS.NET Microphones only (No Personal Self Powered Monitors). 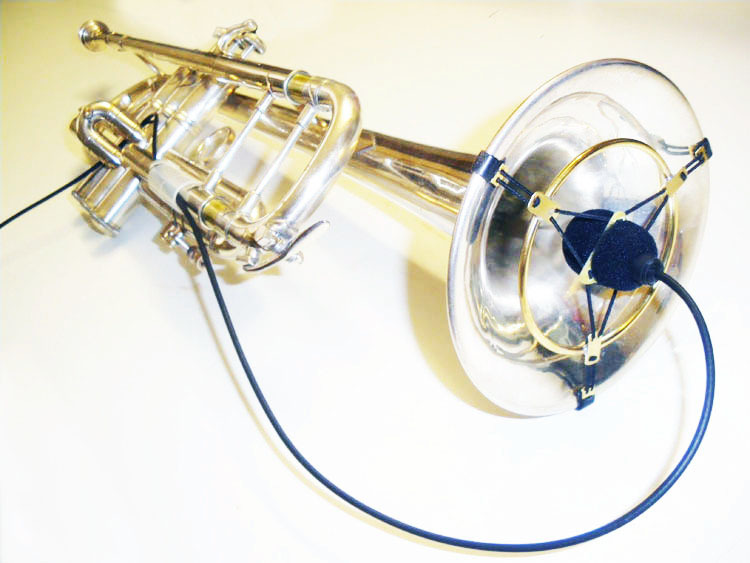 2 Channels. One set currently available. 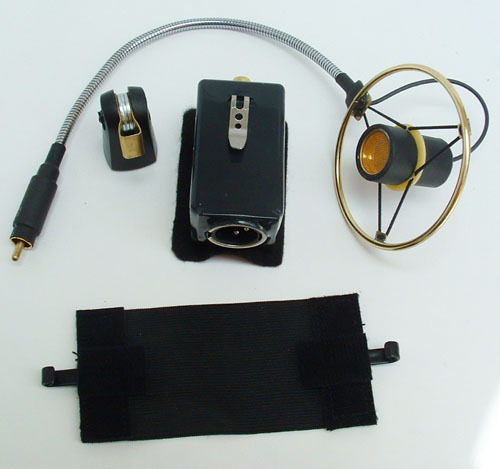 $400.00 "AWM6023 receiver and transmitters". 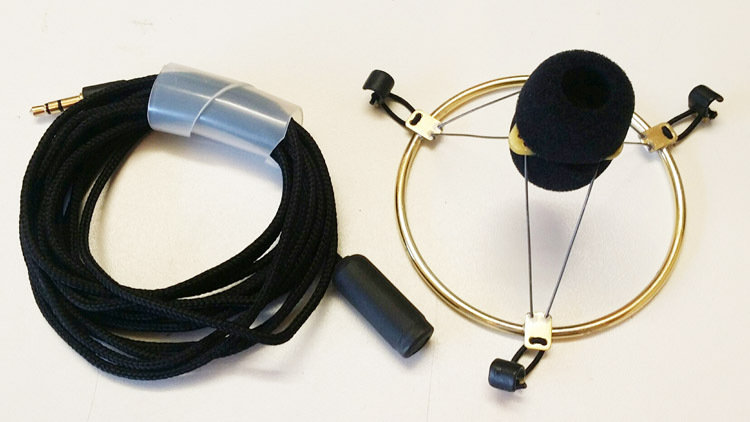 Complete and ready to use with TWO (2) SOUNDCATCHERS.NET Anti-Shock Horn set ups. 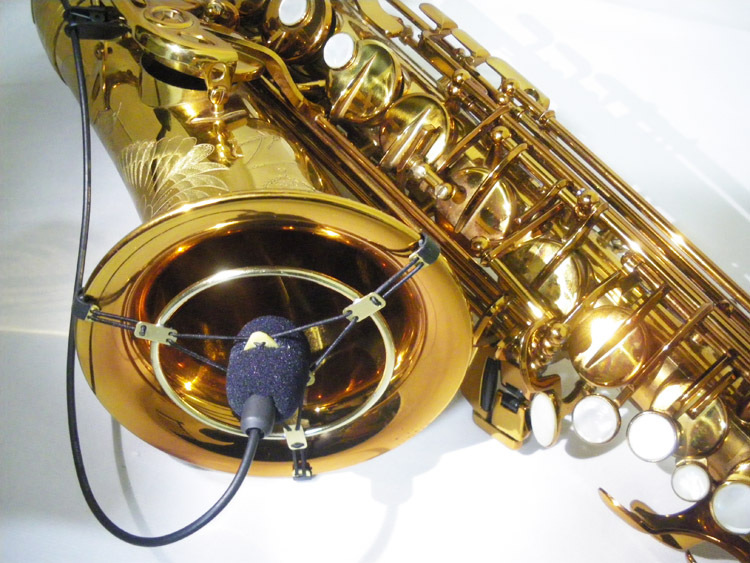 Comes with optional standard microphone stand adapter (pictured). 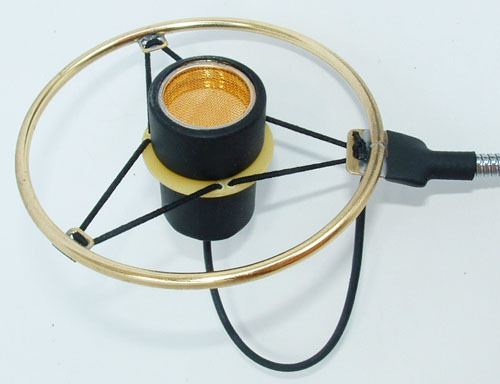 Microphone and circuit, no monitor, specify with or without microphone gain trim potentiometer. 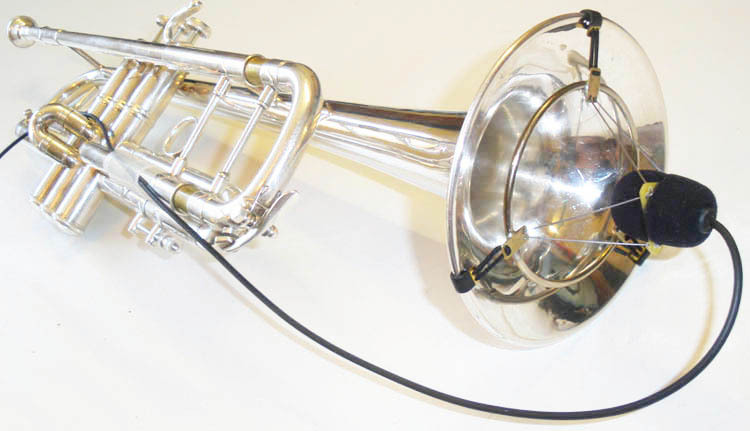 Complete and ready to use with mute adapter and handy storage bag. 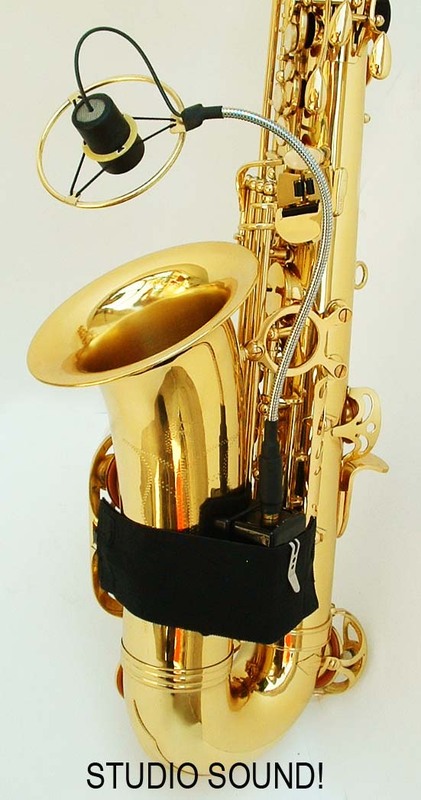 Mounts to Music stand or any microphone stand with included adapter, gives excellent sound and convenience and portability. 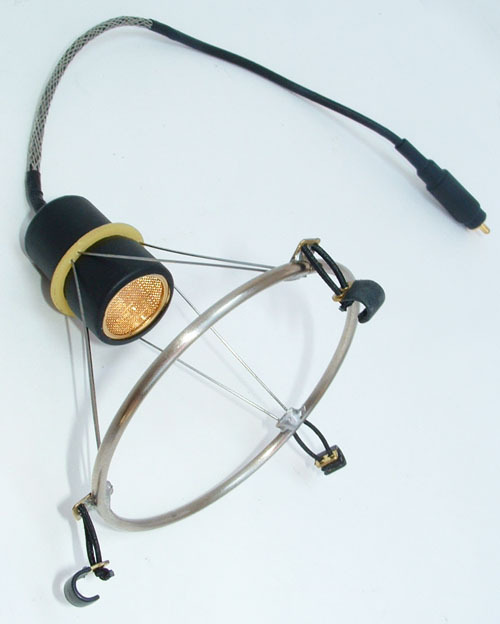 Comes with optional standard microphone stand adapter (not pictured), Specify gooseneck length: 3" 6" 9" 12"
Plugs into any computer, cell phone, recording unit, anything with a 1/4" plug-in for a microphone or even playing live. 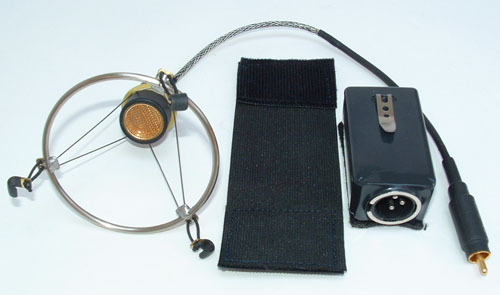 Microphone and anti-shock horn mount only, no monitor or circuit. 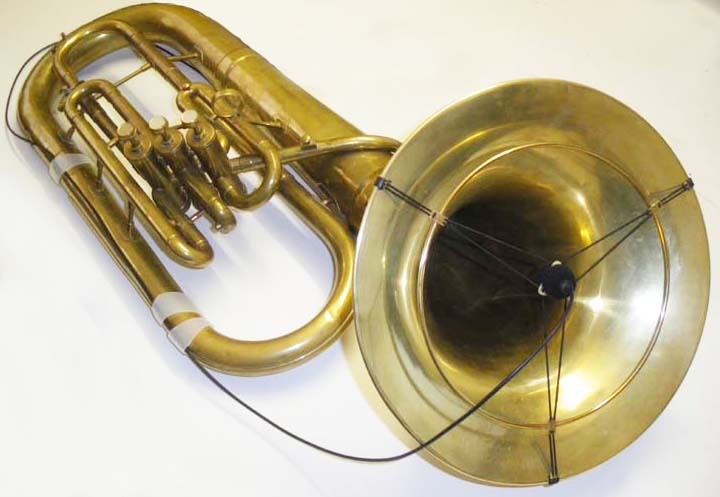 Larger Sizes Available, say for a Sousaphone!! I Have It! Please call for all orders personal service and any custom requests. Click on KOKOPELLI to send me payment.